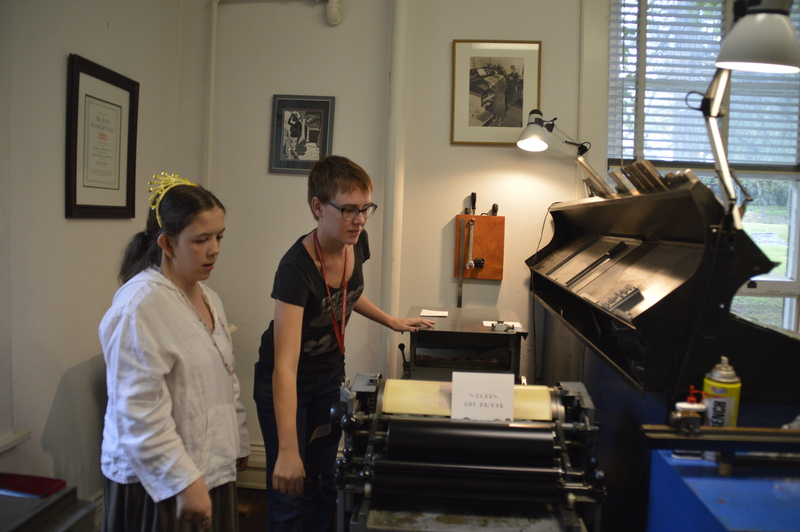 Last Saturday we opened up Morgan Hall for the Wells community to print greeting cards on our presses. Music filled the air, as did the scent of apples and cinnamon. 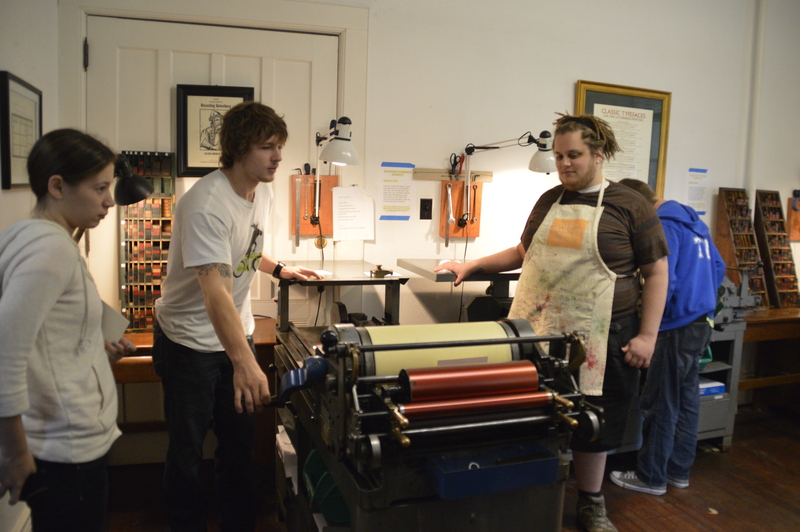 It was the most wonderful day in the print shop! 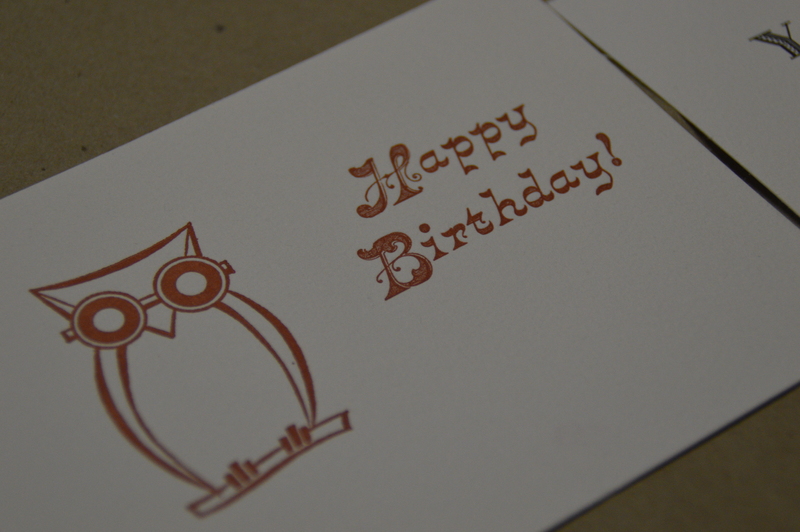 Here are some of the cards and matrices that we printed from. Since Odd/Even Season was approaching, we set up some spirited cards as well! These cards are lyrics sung by odds and evens during the sing off and basketball game at Wells. 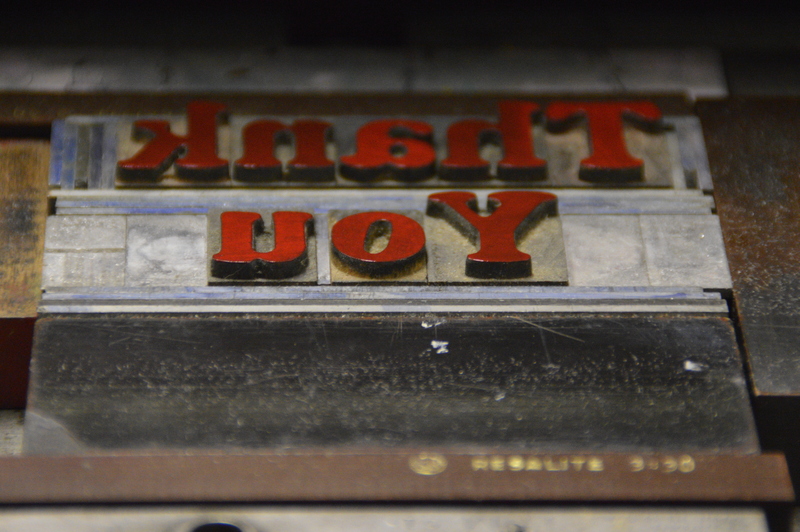 The odd team even put on a special performance in the type shop! You ladies rock! 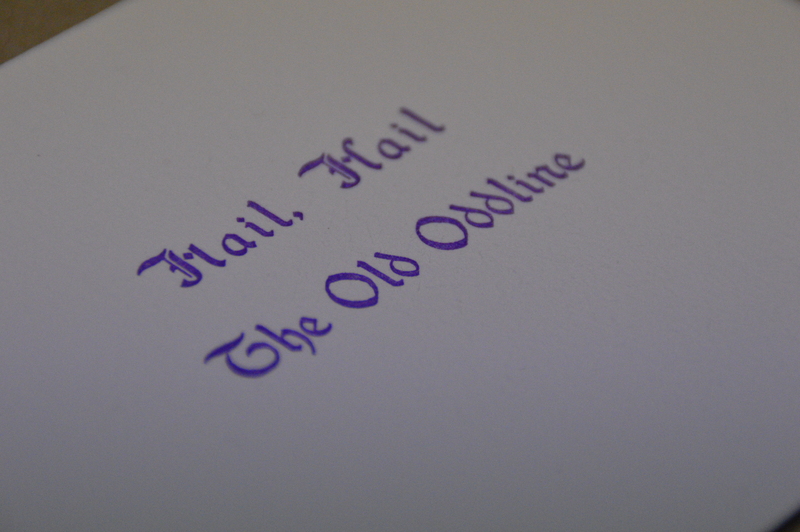 Here is some more information about odd/even and other Wells traditions on the Wells website. We will be hosting more printing and book arts events later on in the semester, so if you missed this one, do not worry! 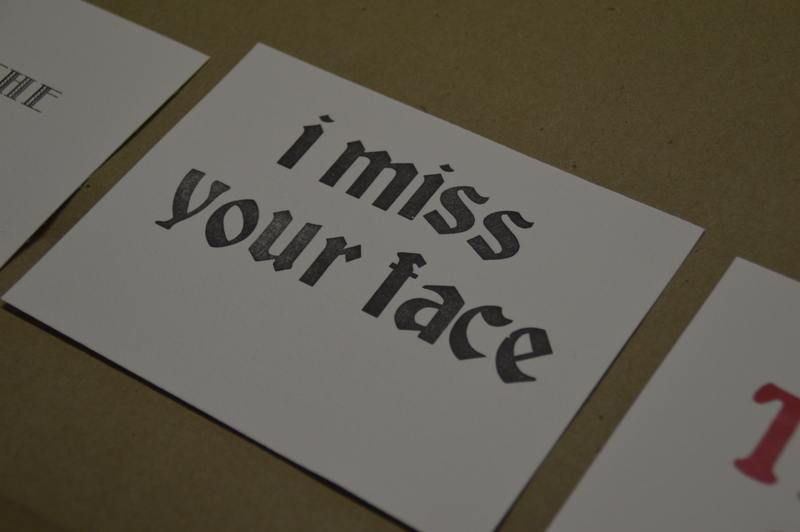 This entry was posted in News and tagged book arts, free event, greeting cards, Happy Birthday, I miss your face, letterpress, metal type, Odd/Even, printing, vandercook, Wells College by wellsbookartscenter. Bookmark the permalink.